The Tab #15 template is for use as a blank divider page. The Tab pages are typically used in government grant proposals that require numbered and tabbed page dividers in printed proposals. A proper business proposal will include multiple chapters. This is just one of many chapters that may be included in your proposal. 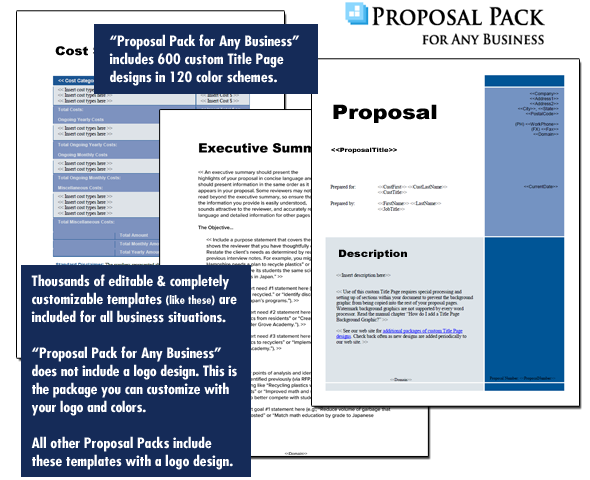 The complete fill-in-the-blank template is included in our Proposal Pack template collections. A variety of sample proposals illustrating how companies in different industries both large and small have written proposals using our Proposal Packs are also included. This template will show you how to write the Tab #15. Tab #15 Insert the tab number here such as 1 B etc. The Tab template is not supposed to contain any content other than the tab number. This template is typically used only for government grant proposals that require the proposal to be printed and put in binder with plastic tabs attached to specific page dividers. Place this template as needed to divide the sections of your proposal insert the tab number using the RFP guidelines for the tab numbering scheme required and also affix plastic tab to each tab page with the matching tab number inserted into it. Remove this instructional text from each of your tab pages. The editable Tab #15 template - complete with the actual formatting, layout and graphics is available in the retail Proposal Packs.